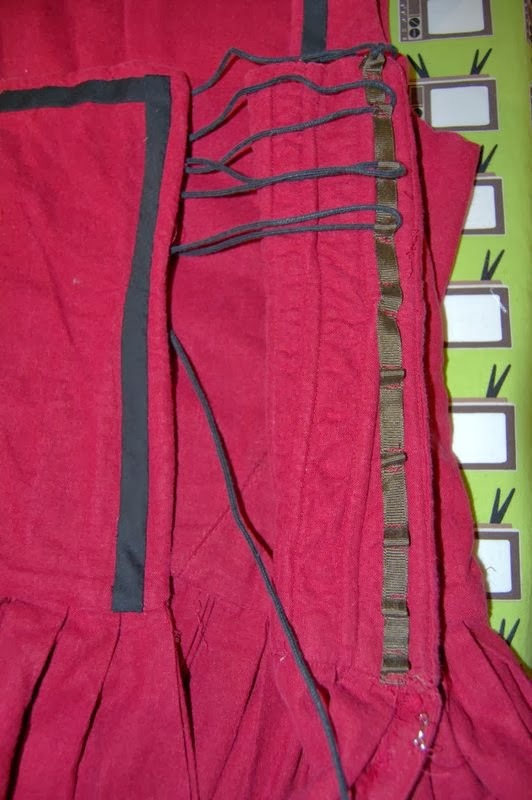 This is yet another Renaissance Fair costume fix, but this time on the bodice of my red peasant dress. 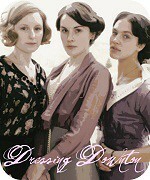 This is the original dress which closes with lacing rings. I opted for lacing rings since I still had yet conquered my mind numbing dread of hand sewn eyelets. Now that I'm an eyelet pro (or at least not a raw beginner!) I wanted to remove the lacing rings and do eyelets instead. Also, after making my gray kirtle and tweeking the pattern a bit, I wanted to have more of a straight edge to the front rather than such a pronounced curve. You can really see here exactly how curved that center front seam is! Tada! 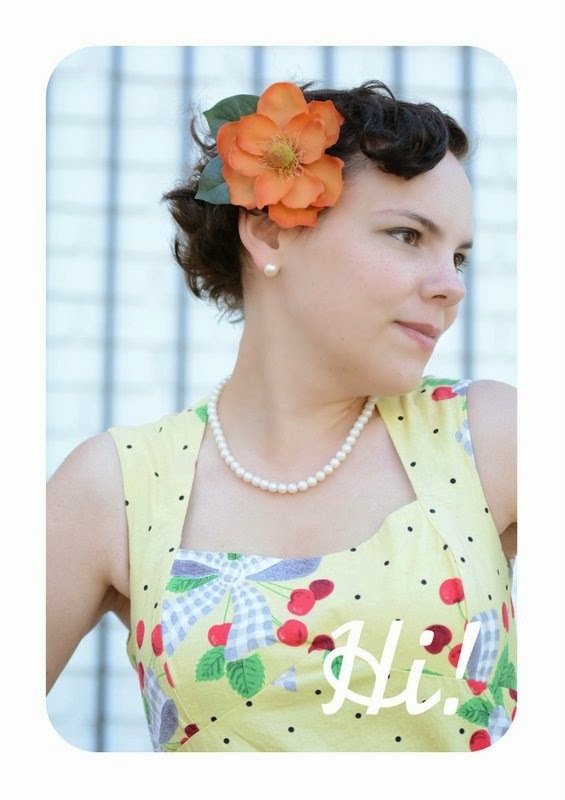 New Bodice! It's still slightly curve but follows the bodice pattern 2.0 much better. It's still not perfect but one thing I've learned from historical costuming it's that the second one is always so much better. This one is improved and good enough. How historically accurate is it? 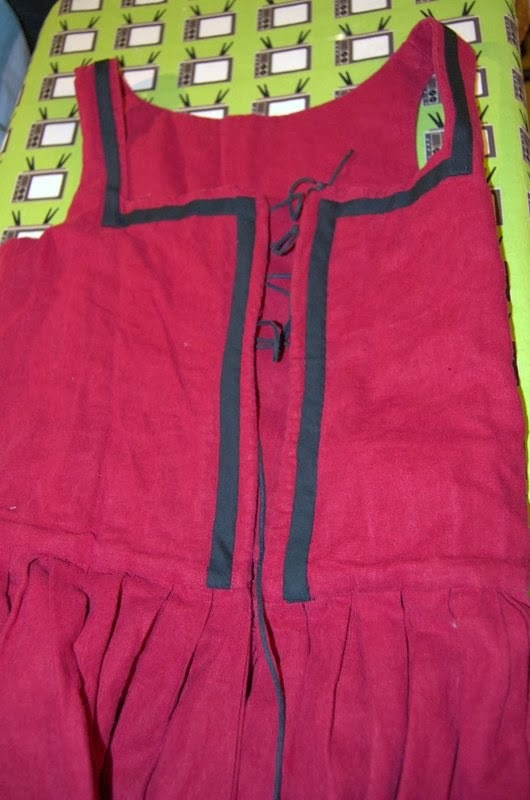 fabric content is meh (no rayon this period) and eyelets would have been more period but I'm going with it looks more period on the outside than it did before so that's an improvement. I have to do eyelets on my regency short stays and I'm putting it off too! Although I at least finally bought an awl. That's a great point, not only about historical sewing, but about life in general. I've often found that it was the second, or even more commonly the third, try at something that I was finally pleased with. You do such wonderful work! 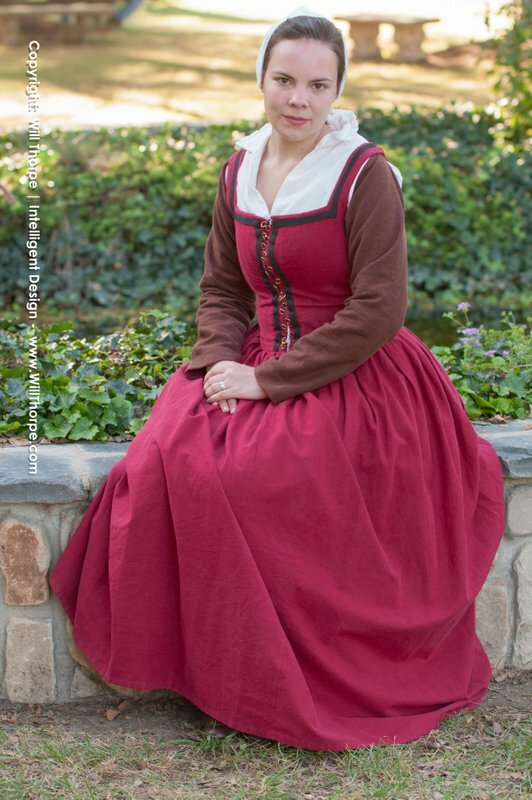 :) I'm starting to make my second kirtle ever for a ren fair this summer, and dreading hand-sewing two dozen eyelets again. Would you recommend that grosgrain closure system? The closure didn't end up meeting as nice and pretty as I wanted so I actually ended up remaking the entire bodice using steel bones and hand sewn eyelets. (You can see the gaping in this post: http://star-spangledheart.blogspot.com/2014/07/playing-dress-up-somewhere-new.html) So I really wasn't happy with it but it may work better if you are going to be boning your bodice with steel instead of cording.